LAST ONE! 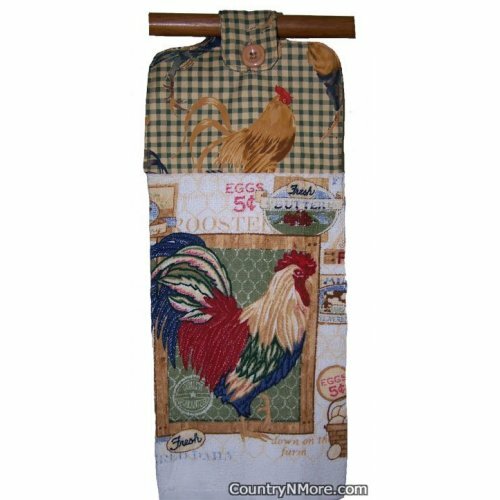 This rooster oven door towel has gorgeous mustard, cream and green tones. The towel has a gorgeous rooster and fresh eggs for 5 cents. The fabric top is made from a rooster print, and the colors go so well with the colors of the rooster and the towel. The top also has a layer of cotton batting.This towel is designed to hang over the oven door handle, and will be handy when you go to dry your hands.Made with 1 full towel, rather than half towel used for other oven door towels sold elsewhere.